There is growing interest in the applications of mindfulness in applied psychological settings. However, the speed at which it is being assimilated by Western psychological and public healthcare disciplines has led to concerns about whether the evidence for mindfulness-based interventions justifies this growing popularity. Concerns have also been raised over the ‘authenticity’ of contemporary Western approaches and whether they bear any resemblance to the traditional Buddhist model. This article examines these issues and discusses whether the current popularity of mindfulness is likely to be just a passing trend, or ‘a breath of fresh air’ in terms of alleviating suffering and advancing understanding of the human mind. Research into the attributes, correlates, and applications of mindfulness has increased greatly during recent decades. In fact, mindfulness is arguably one of the fastest-growing areas of psychological research. During 2013 almost 600 scientific papers concerning mindfulness were published, representing a tenfold increase compared to the number of mindfulness papers published during 2003 (Shonin et al., 2013a). However, due to the speed at which mindfulness has been taken out of its traditional Buddhist setting and assimilated by Western psychological and medical disciplines, concerns and integration issues have inevitably arisen. One such concern is whether the quality of empirical evidence tallies with the numerous claims concerning the efficacy and utility of mindfulness-based interventions (MBIs). This article briefly discusses current empirical research directions and provides what we believe is timely critical opinion on key issues in mindfulness research, including whether the current popularity of mindfulness in psychology is likely to be just a passing trend, or ‘a breath of fresh air’ in terms of advancing understanding of the human mind. Mindfulness is a 2500-year-old Buddhist meditation practice. According to Buddhist thought, individuals have a tendency to ruminate about the past and/or rush towards the ‘ungraspable’ future, which never materialises – it is always the present (Shonin et al., 2014a). 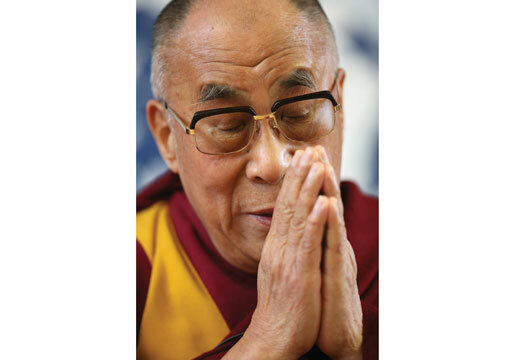 Buddhism asserts that this behavioural tendency of ‘not being fully present’ can distort an individual’s perception of reality and lessen their ability to consciously participate in the present moment (Dalai Lama, 2001). The non-mindfulness practitioner is often likened in the Buddhist teachings to a ‘walking corpse’, or to one who goes through life on autopilot, never stopping to take a few conscious breaths in and out in order to be fully present with themselves. I is generally easier to learn if individuals are taught using guided mindfulness meditations (see recent review by Shonin et al., 2014a). The box on this page provides an example of a guided mindfulness meditation taken from our own work with an eight-week secular MBI known as meditation awareness training (MAT; Shonin et al., 2014b; Van Gordon et al., 2013). Arguably, the most popular delineation of mindfulness used in the psychology literature is that employed by Kabat-Zinn who defines mindfulness as ‘paying attention in a particular way: on purpose, in the present moment, and non-judgmentally’ (1994, p.4). However, we recently argued that the use of the term ‘non-judgemental’ in the above definition is too ambiguous because it could imply that the mindfulness practitioner is essentially ‘indifferent’ and does not seek to discern which cognitive, emotional, and behavioural responses are conducive to ethically wholesome conduct (Shonin et al., 2014a). Another key area of debate amongst psychologists regarding an appropriate definition of mindfulness relates to the context of mindfulness practice. Traditionally, mindfulness is practised in the context of spiritual development and in conjunction with numerous other meditative and/or spiritual practices. Accordingly, Williams and Kabat-Zinn have emphasised the spiritual aspect of mindfulness and have described it as ‘awareness itself’, and a form of ‘innate capacity’ that is ‘virtually transparent to us’ (2011, p.15). However, as discussed in greater detail below, where mindfulness is isolated from its spiritual roots – as it sometimes is in clinically focused MBIs – then the question arises whether it remains technically accurate to refer to the resultant construct as ‘mindfulness’ (Shonin et al., 2014a). Clinically focused research represents the mainstay of mindfulness empirical inquiry, and an MBI known as mindfulness-based cognitive therapy (Segal et al., 2002) is now advocated by both the National Institute for Health and Care Excellence (NICE) and the American Psychiatric Association (APA) for the treatment of recurrent depression in adults (APA, 2010; NICE, 2009). In addition to depression and other mood disorders, MBIs have also been shown to be effective in helping treat a broad range of mental health problems and somatic illnesses. Examples include anxiety disorders, substance-use disorders, eating disorders, attention-deficit hyperactivity disorder, behavioural addictions (e.g. problem gambling, work addiction), schizophrenia-spectrum disorders, sexual dysfunction, diabetes, coronary heart disease, HIV aids, fibromyalgia, psoriasis, brain injury, and cancer (e.g. Arias et al., 2006; Baer, 2003; Chiesa & Serretti, 2011; Shonin et al., 2013c). Outside of clinical settings, neuropsychological functional and structural imaging studies have shown that mindfulness practice can improve self-regulatory efficacy via neuroplastic changes in the anterior cingulate cortex, insula, temporo-parietal junction, fronto-limbic network, and default mode network structures (Holzel et al., 2011). Preliminary findings also suggest that mindfulness has applications in (but not limited to) (i) forensic psychology as a tool for reducing reoffending, modulating impulsivity and regulating anger, (ii) occupational psychology for improving work-related well-being, work productivity and job performance, (iii) educational psychology for improving academic performance, knowledge acquisition, quality of learning environment and cognitive functioning, (iv) positive psychology for facilitating wisdom acquisition, flourishing and well-being optimisation, (v) sport psychology for achieving peak performance, situational awareness and task focus, and (vi) transpersonal psychology for improving spiritual and metacognitive awareness (e.g. Dane, 2010, Eberth & Sedlmeier, 2012, Shonin et al., 2013b, 2013c). I growth in spiritual awareness that broadens perspective and induces a re-evaluation of life priorities (e.g. Dane, 2010, Ludwig & Kabat-Zinn, 2008; Shonin et al., 2014a). A typical intervention format for teaching mindfulness in psychological settings is an eight-week group-based secular programme comprising weekly sessions of 90–180 minutes duration; a taught psychoeducation component; guided group mindfulness exercises; a CD of guided mindfulness meditations to facilitate daily self-practice; a half-day or full-day silent mindfulness retreat; and varying degrees of one-to-one discussion-based therapy with the programme instructor. Although these elements are invariably included in mindfulness interventions, one of the main strengths of MBIs is their versatility as the programme structure can be easily adapted to meet the needs of different population groups (e.g. shorter sessions/guided meditations for school-age children, greater psychoeducation component for clinicians and/or professionals, greater one-to-one discussion/therapeutic component for patients, etc.). A further strength of MBIs is their cost-effectiveness, with a typical eight-week intervention requiring as little as three facilitator hours per participant (i.e. based on 30 intervention hours delivered by one facilitator to 10 participants). As mindfulness is a non-pharmacological intervention, other strengths are that MBIs are generally considered to be non-invasive, and their secular delivery format means that they are acceptable to individuals from a diverse range of religious and cultural backgrounds (Shonin et al., 2013c). Despite the apparent utility of MBIs within a range of applied psychological settings, the methodological quality of a large number of MBI studies remains questionable (see Van Gordon et al., 2013). Many rely on self-report measures rather than clinical diagnostic interviews, and have an absence of (or poorly implemented) intent-to-treat analysis, along with poorly designed control conditions that do not account for confounding factors such as psychoeducation, therapeutic alliance, non-meditative relaxation techniques, and group engagement. Some fail to control for fidelity of delivery (i.e. the extent to which MBI instructors adhere to the intervention protocol), variations in the experience and competence of MBI instructors, and in the way different MBIs define and operationalise mindfulness. There is also a scarcity of long-term follow-up studies. A further notable limitation of MBI intervention studies relates to the growing popularity of mindfulness amongst the general public. As previously outlined, outcomes from MBI studies are often based on an eight-week programme involving between 16 and 32 hours of instruction in a group setting. Due to the fact that competence in mindfulness practice is traditionally assumed to develop only after many years of focused day-to-day practice (Shonin et al., 2014a), it is perhaps surprising that dramatic improvements in psychological and/or somatic well-being are reported to unfold after just eight weekly meetings. Given that it is difficult to blind participants from the fact they are undergoing mindfulness training, and due to the current popularity of mindfulness, it is possible that the improvements demonstrated by some MBI participants actually represent a form of intervention performance bias. The process of integrating Eastern philosophical principles and practices into Western psychological settings inevitably gives rise to complications. Indeed, as referred to earlier, there are concerns as to whether the ‘spiritual essence’ of mindfulness has remained intact in its clinically orientated Westernised form. For example, successive Westernised models of mindfulness have invariably failed to consider the cooperating or mechanistic role of other meditative and spiritual-practice agents (e.g. ethical awareness, compassionate outlook, insight into concepts such as suffering, non-self, and impermanence, etc.) and the fact that mindfulness was traditionally practised to facilitate a realisation of a person’s full human potential and capacity for unconditional well-being, rather than as a tool for treating psychological and/or somatic illness. Consequently, there is growing debate in the psychological literature over the ‘authenticity’ and construct-validity of mindfulness in terms of how it is taught in Western MBIs (e.g. McWilliams, 2011; Rosch, 2007; Singh et al., 2008). This question of authenticity in MBIs gives rise to a number of implications. If the version of mindfulness taught in MBIs no longer resembles the Buddhist approach, is it ethically inappropriate and potentially misleading to participants/service-users to describe them as such? We would argue that it is likely to be damaging to the Buddhist teachings, to the long-term credibility of MBIs and to certain remits of psychology more generally if MBIs define, teach and operationalise mindfulness in a manner that purports to be largely consistent with the Buddhist approach when this is not the case. There may also be risks associated with teaching mindfulness in isolation of many of the principles and practices that are traditionally assumed to underlie the effective development of mindful awareness. This is a particularly important issue because research specifically assessing whether MBIs can induce non-salutatory health outcomes is underdeveloped. Despite this, there are a number of reported instances in the clinical literature where meditation – including some meditative modes that appear to utilise mindfulness techniques – has induced negative health consequences such as psychotic episodes, painful kinaesthetic sensations, suicidal feelings, and even ‘addiction’ to meditation (Shonin et al., 2014d). However, it seems to be the case that secular interventions administering a more encompassing and traditionally congruent format of mindfulness can facilitate promising outcomes (e.g. Shonin et al., 2014b; Singh et al., 2014; Van Gordon et al., 2013). In fact, although such research is at a very early stage, it appears that some service users actually prefer and respond favourably to an approach that more closely follows the traditional meditation didactic and practice techniques. Adhering to a practice model that is still secular but that more closely resembles the traditional (and tried-and-tested) meditational teachings may be a more prudent approach, particularly in the relative absence of research assessing the long-term follow-up effects of mindfulness. We should also remember that in certain instances, MBI instructors may have as little as one year’s mindfulness practice and teaching experience following completion of a single eight-week training course (MHF, 2010). In traditional contexts a mindfulness/meditation teacher would typically undergo intensive training – sometimes for many decades. So it is questionable whether such MBI instructors’ expertise of mindfulness enables them to impart an authentic transmission of the mindfulness teachings (Shonin et al., 2013b, 2014a). Passing trend or breath of fresh air? Although we have outlined a number of issues in mindfulness research, many of these issues are arguably ‘par for the course’ when attempting to comprehend and assimilate a ‘new’ psychological construct. In effect, these issues relate to the need to conduct more methodologically robust empirical evaluations in order to consolidate scientific understanding. Despite this, the general consensus amongst psychologists is that when correctly practised and administered, mindfulness meditation is a safe and effective tool for improving mental health and psychological well-being. Furthermore, findings from the empirical study of mindfulness appear to suggest that there are aspects of the human consciousness – particularly those that involve ‘the self’ observing ‘the self’ – that do not only regulate routine attentional and emotional processes, but can also mobilise as yet uncharted metacognitive resources. At present, mindfulness is arguably a buzzword in (and outside of) psychology, and as with all scientific phenomena that attract substantial media and public attention there is always the possibility that the perceived hype outweighs their utility in applied settings. However, mindfulness has been a ‘tried and tested’ Buddhist practice for over 2500 years, and many Buddhist practitioners are only too happy to attest to its benefits (e.g. Nhat Hanh, 1999). Nevertheless, if mindfulness is truly going to be a breath of fresh air in terms of advancing understanding of the human mind, then it is vital that more methodologically robust research is undertaken and that future investigations look beyond the superficial attributes of mindfulness and seek to identify the cooperating and underlying psycho-spiritual properties that are traditionally assumed to authenticate mindfulness practice. 1. Breathing in, I am fully aware I breathe in; breathing out, I am fully aware I breathe out. 2. Breathing in, I am aware whether my breath is deep or shallow, short or long; breathing out, I allow my breath to follow its natural course. I taste and experience the texture of breath. 5. Breathing in, I am aware of the space and time that exists between my in-breath and out-breath, and between my out-breath and in-breath; breathing out, I relax into this space and time. 6. Breathing in, I am aware of my lungs as they rise and fall; breathing out, I am aware of my heart beat. 7. Breathing in, I am fully aware of my body; breathing out, I allow my body to calm and relax. 8. Breathing in, I am here; breathing out, I am now. 9. Breathing in, there is nowhere else I need to be; breathing out, I am already home. 10. Breathing in, I enjoy being alive; breathing out, I enjoy simply being. American Psychiatric Association (2010). American Psychiatric Association practice guideline for the treatment of patients with major depressive disorder (3rd edn). Arlington, VA: American Psychiatric Publishing. Arias, A.J., Steinberg, K., Banga, A. & Trestman, R.L. (2006). Systematic review of the efficacy of meditation techniques as treatments for medical illness. Journal of Alternative and Complementary Medicine, 12, 817–832. Baer, R. (2003). Mindfulness training as a clinical intervention. Clinical Psychology: Science and Practice, 10, 125–143. Chiesa, A. & Serretti, A. (2011). Mindfulness based cognitive therapy for psychiatric disorders. Psychiatry Research, 187, 441–453. Dalai Lama. (2001) Stages of meditation: Training the mind for wisdom. London: Rider. Dane, E. (2010). Paying attention to mindfulness and its effects on task performance in the workplace. Journal of Management, 37, 997–1018. Eberth, J. & Sedlmeier, P. (2012). The effects of mindfulness meditation. Mindfulness, 3, 174–189. Holzel, B., Lazar, S., Gard, T. et al. (2011). How does mindfulness meditation work? Perspectives in Psychological Science, 6, 537–559. Ludwig S. & Kabat-Zinn, J. (2008). Mindfulness in medicine. Journal of the American Medical Association, 300, 1350–1352. McWilliams, S.A. (2011). Contemplating a contemporary constructivist Buddhist psychology. Journal of Constructivist Psychology, 24, 268–276. Mental Health Foundation. (2010). Be mindful. London: Author. Nhat Hanh, T. (1999). The heart of the Buddha's teaching: Transforming suffering into peace, joy and liberation. New York: Broadway Books. Rosch, E. (2007). More than mindfulness: When you have a tiger by the tail, let it eat you. Psychological Inquiry, 18, 258–264. Segal, Z.V., Williams, J.M. & Teasdale, J.D. (2002). Mindfulness-based Cognitive therapy for depression: A new approach to preventing relapse. New York: Guilford. Shonin, E., Van Gordon, W. & Griffiths, M.D. (2013a). Meditation as medication: Are attitudes changing? British Journal of General Practice, 63, 654. Shonin, E., Van Gordon, W. & Griffiths, M.D. (2013b). Mindfulness-based interventions: Towards mindful clinical integration. Frontiers in Psychology, 4, 1–4. Shonin, E., Van Gordon W., Slade, K. & Griffiths M.D. (2013c). Mindfulness and other Buddhist-derived interventions in correctional settings: A systematic review. Aggression and Violent Behaviour, 18, 365–372.6, 123–137. Shonin, E., Van Gordon, W. & Griffiths M.D. (2014b). Meditation awareness training (MAT) for improved psychological wellbeing. Journal of Religion and Health, 53, 849–863. Shonin, E., Van Gordon, W. & Griffiths, M.D. (2014c). Are there risks associated with using mindfulness in the treatment of psychopathology? Clinical Practice, 11, 389–392. Shonin, E., Van Gordon, W. & Griffiths, M.D. (2014d). Do mindfulness-based therapies have a role in the treatment of psychosis? Australia and New Zealand Journal of Psychiatry, 48, 124–127. Singh, N.N., Lancioni, G.E., Wahler, R.G. et al. (2008). Mindfulness approaches in cognitive behavior therapy. Behavioral and Cognitive Psychotherapy, 36, 659–666. Singh, N.N., Lancioni, G.E., Karazsia, B.T. et al. (2014). Shenpa and compassionate abiding: Mindfulness-based practices for anger and aggression by individuals with schizophrenia. International Journal of Mental Health and Addiction, 12, 138–152. Van Gordon, W., Shonin, E., Sumich, A. et al. (2013). Meditation awareness training (MAT) for psychological wellbeing in a sub-clinical sample of university students. Mindfulness, 5, 381–391.